The Human Givens Institute (HGI) is both a membership organisation – open to anyone wishing to support and promote the human givens approach through all forms of psychological, educational and social interactions – and the professional body representing the interests of those in the caring, welfare and teaching professions who work in alignment with the best scientific knowledge available about the givens of human nature. Thousands of people around the world recognise that the organising ideas summed up in the phrase 'human givens' have enormous, beneficial implications for education, mental health, social order and the world of business, politics and diplomacy. The human givens approach enables us to think more clearly about a wide range of social issues to do with the running of society and the future and physical survival of our species, including how we bring up children to live in a rapidly changing environment. This professional section is the premier UK body concerned with effective counselling and psychotherapy. It advances all aspects of human givens therapeutic practice, including standards, CPD and the ethical behaviour of members. 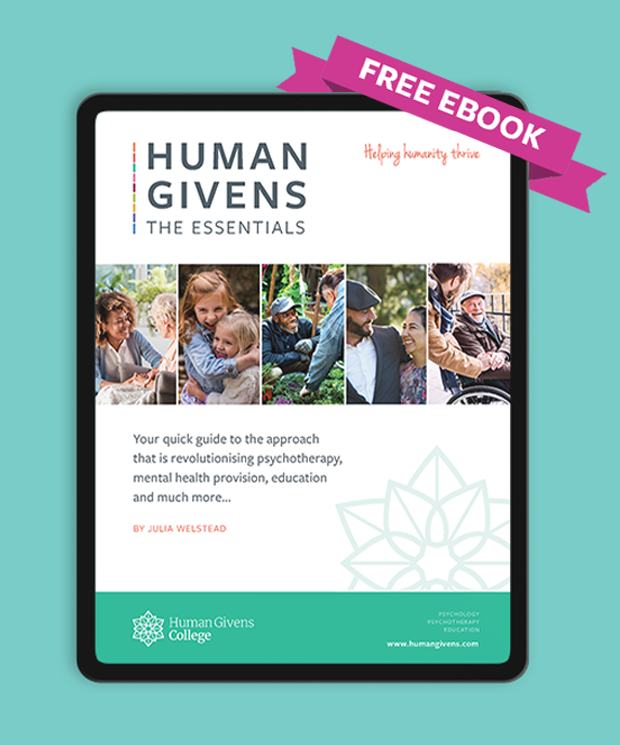 Why is the human givens approach to psychotherapy important?